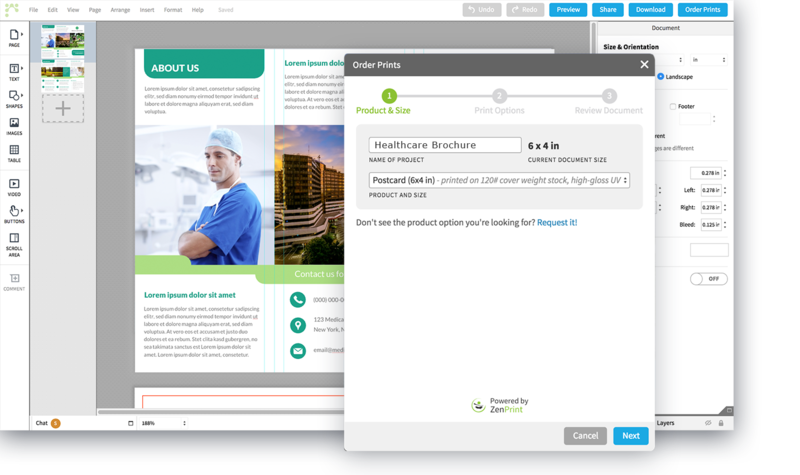 Automate Healthcare Brand Compliance with Lockable Marketing Templates | Lucidpress . ', failHtml: "
Empower employees to create localized, brand-compliant marketing collateral themselves with Lucidpress — the on-demand marketing portal that ensures brand consistency. See us in action — ask for a FREE demo today! 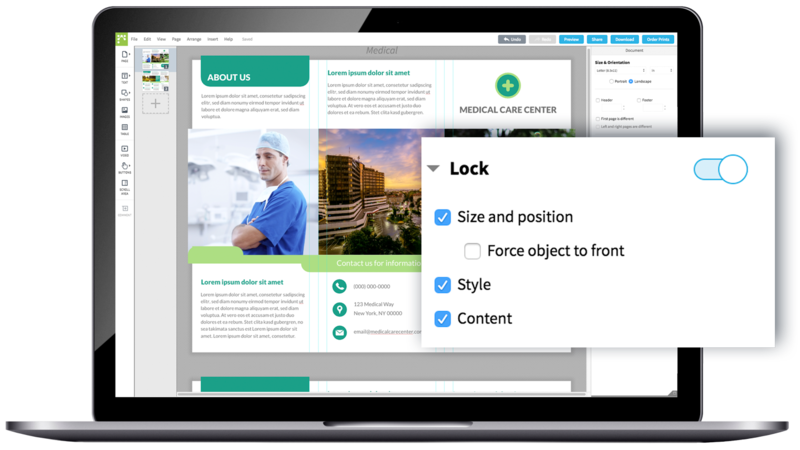 Give employees access to create or distribute approved marketing assets anytime, anywhere. 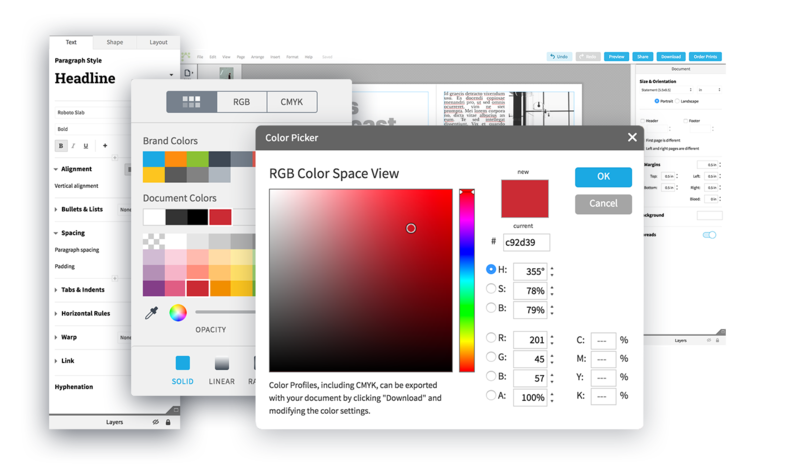 Reduce the number of corporate design requests & save marketing time for more pressing matters. Reduce the turnaround time for custom collateral requests from weeks down to minutes. Create your Lucidpress marketing portal. Fill your marketing portal with approved templates and brand assets that employees can pull from when creating content. You can even import existing Adobe InDesign files and convert them into Lucidpress templates. Lock down brand fonts, colors, images, and text styles to ensure brand compliance is never an issue. Plus, a seamless approval process empowers admins to require approval on all important documents before they can be distributed to the public. Define your preferred user permissions and let employees collaborate in real time. They’ll be able to customize marketing collateral themselves without disrupting the brand or requiring the help of corporate marketing. 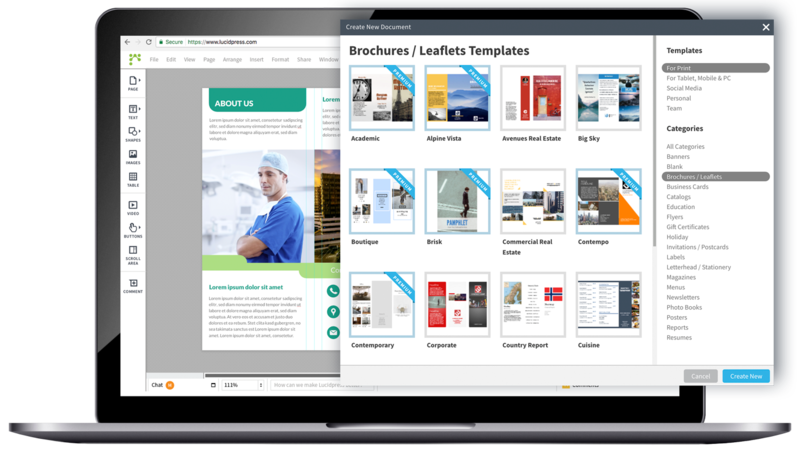 Once a template has been finalized, employees can publish digital copies of their documents, share them directly to social media, order prints and even deliver direct mail to a local area. Why does brand compliance matter? Ready to see Lucidpress in action?